Need to change hosts? Moving your site to a live server? In this post, we'll show you how to migrate WordPress and your Elementor content to a new host and/or a new domain name, step by step. 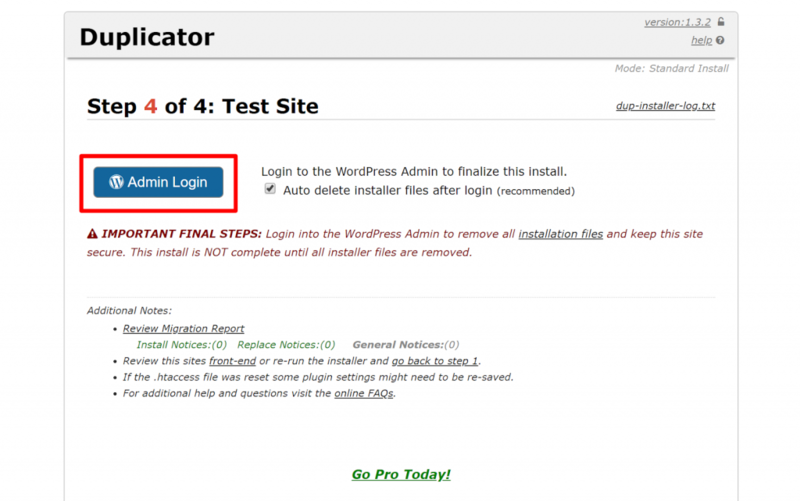 In this post, you’re going to learn how to migrate WordPress and your Elementor content to a new host and/or a new domain name. Changing hosts while keeping the same domain name. Changing your site’s domain name while also changing hosts. Moving a site from your local or development server to a live server. The Duplicator plugin – this free plugin makes the entire process easy and is a great option for most situations. Manual migration – you can move things manually, it will just take a little elbow grease and attention to detail. 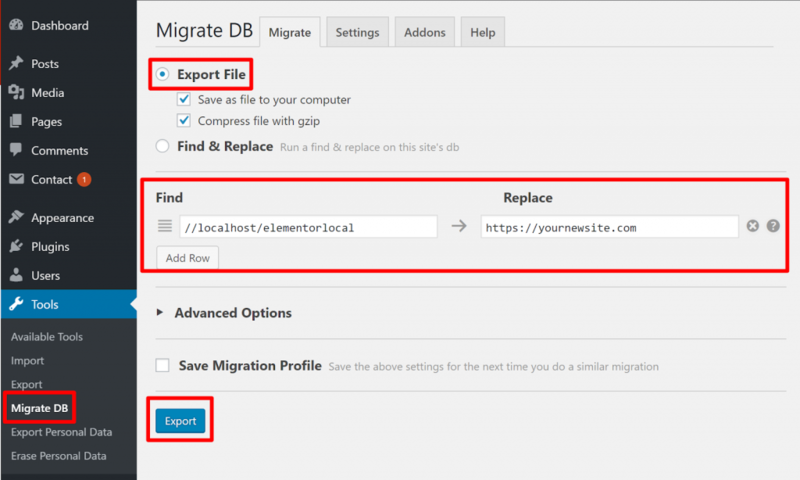 Ready to start migrating? 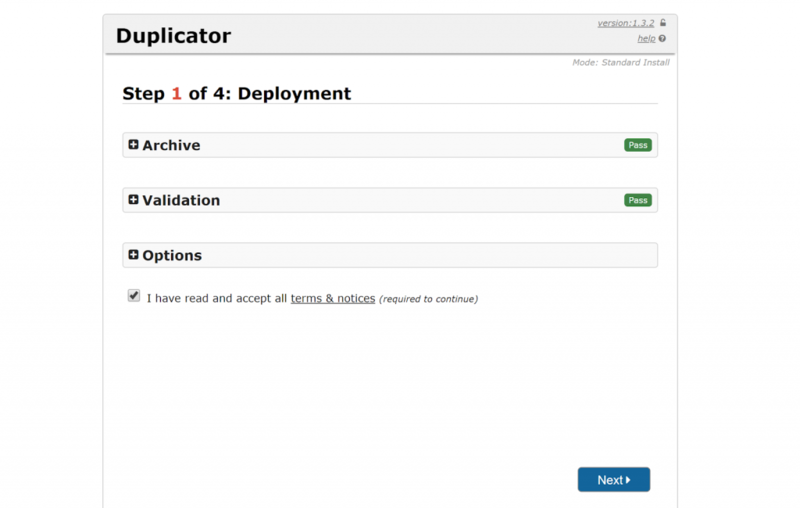 I’ll begin with an in-depth tutorial for migrating your site with the Duplicator plugin. Then, I’ll cover a more high-level look at the steps you need to take to do it manually. The nice thing about using the Duplicator plugin is that, in addition to moving your site’s files and database for you, Duplicator can also handle general database serialization issues and can replace URLs in your site’s database (if you need to change your site’s domain name as part of the process). Before getting started, you’ll want to get some basic housekeeping out of the way. First, always take a full backup of your site before migration. Moving your site involves working with some delicate areas, so you always want to have a backup just in case. Second, if you’re moving your site to a new domain name, you’ll want to make sure that you’ve already changed the new domain’s nameservers to point to the host to which you’re migrating your site. Third, make sure that you have the hosting credentials for the host to which you want to migrate your site. You’ll need to be able to upload files to your server and create a new database. 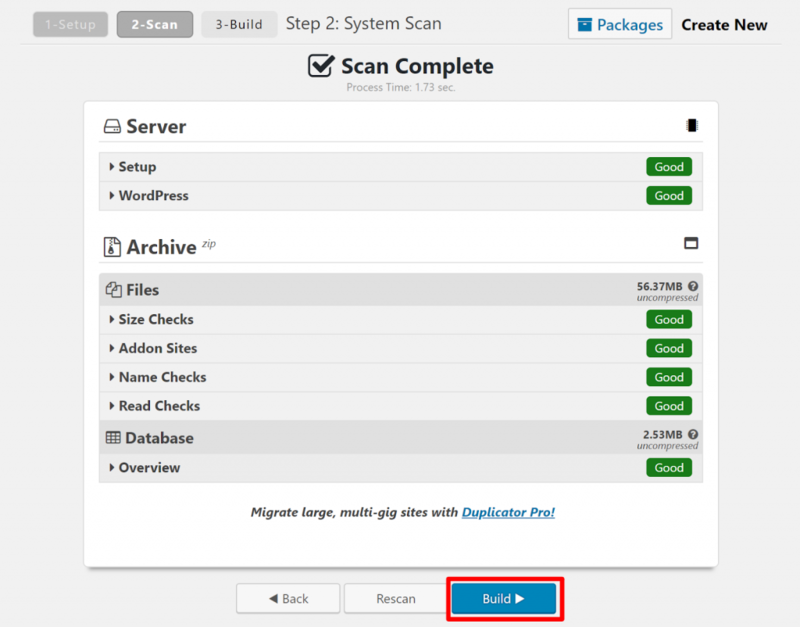 Finally, go ahead and install and activate the free Duplicator plugin on the site that you want to migrate. 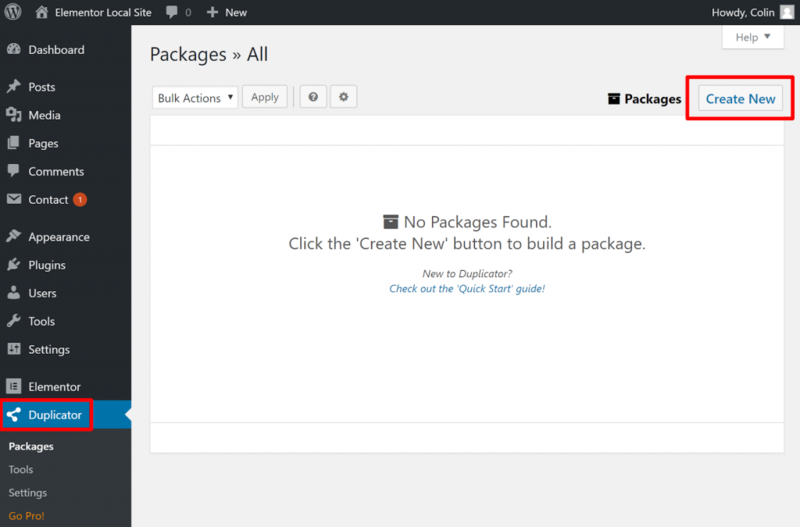 Once you’ve installed and activated the free Duplicator plugin, you need to create a “Package”, which is basically a portable copy of your entire site. Duplicator will then scan your site for potential issues and should hopefully come back with all “Good”. If it does find potential issues, you can expand the accordion tab to learn more. One potential issue is the size of your site. If your site is especially large (“2GB+ on most budget hosts & 10GB+ on higher end hosts”, according to the Duplicator team), you might need to purchase Duplicator Pro because it’s better suited for large sites. 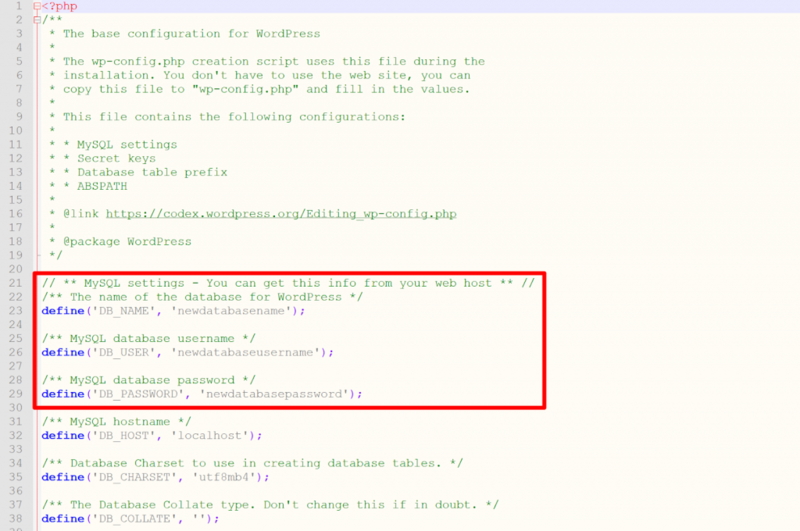 Next, you need to create a new, empty database at the host to which you want to migrate WordPress. Next, use FTP or cPanel File Manager to upload the two files from Duplicator to the directory where you want your migrated WordPress site to be. Remember, it should be one zip file and one file named installer.php. Once you’ve uploaded those two files, you’re ready to run the installer process to finish your migration. If you’re migrating your site to a new domain name, you can just go to yournewdomain.com/installer.php (assuming you’ve already changed that domain’s nameservers). If you’re keeping the same domain name but just moving your site to a new host, you won’t be able to do that because your domain’s nameservers are likely still pointed at your previous host. A nice workaround here is to edit your computer’s hosts file. This lets you force your computer to connect your domain to your new host, even before you change your domain’s nameservers. This Pagely article explains how to do it. 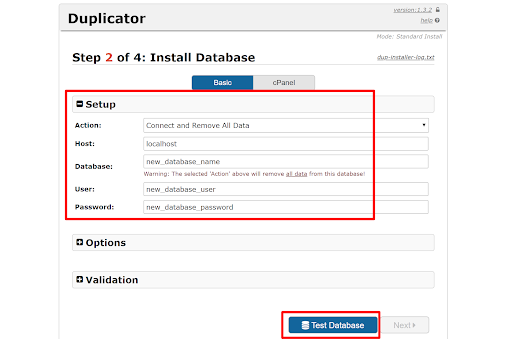 After Duplicator imports your database, it will give you the option to Update Data. 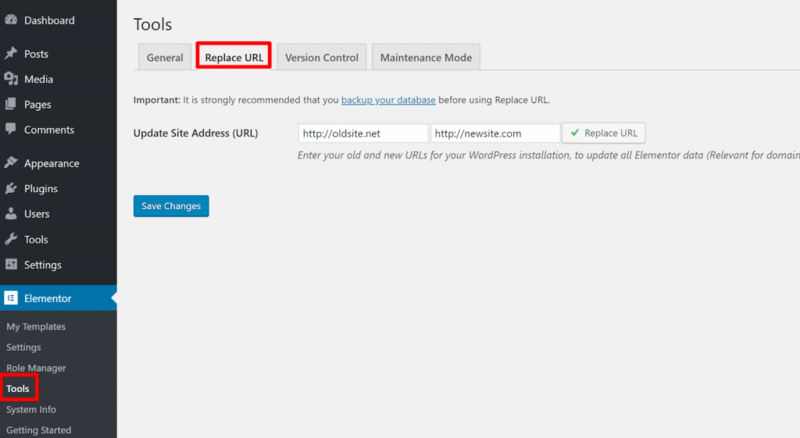 This is an important consideration because it lets you update the URLs in your WordPress site’s database to reflect any changes to your domain name. Once you’ve verified that the information is correct, click Next. 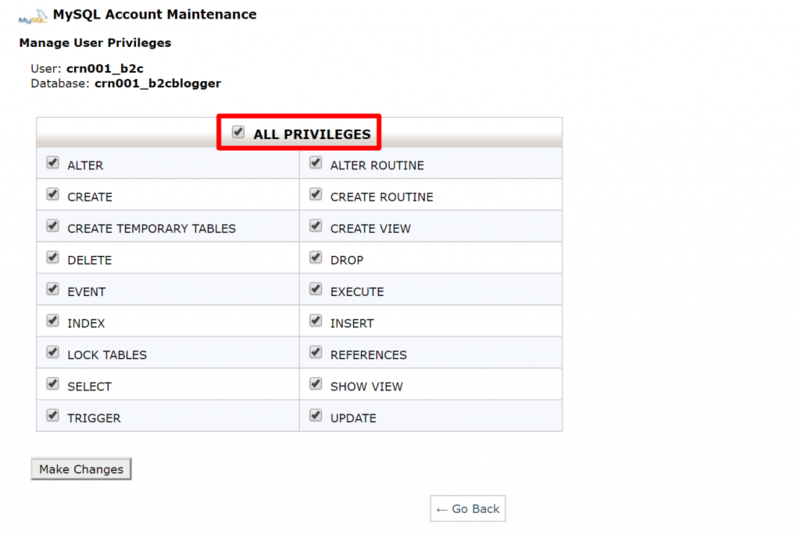 After you log in for the first time, Duplicator will automatically delete the migration files and clean everything up. 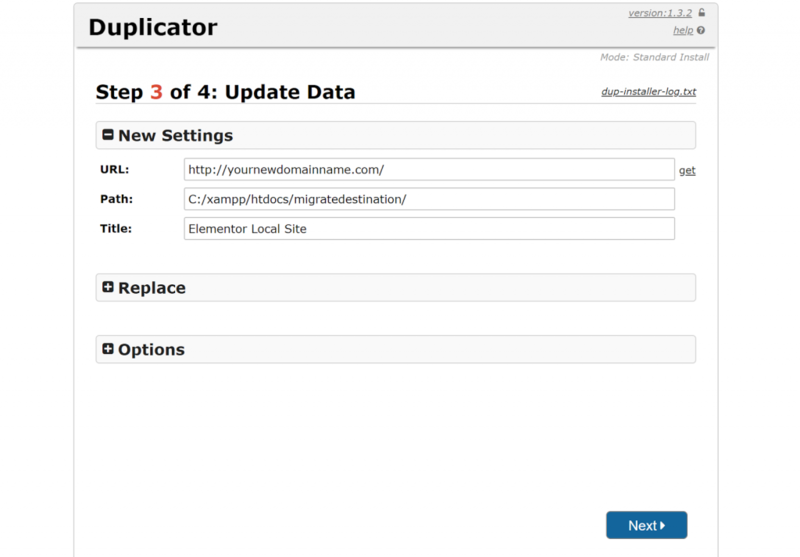 While Duplicator will handle replacing URLs for most of your site’s content, you might also need to replace URLs using Elementor’s built-in tool if you changed your site’s domain name and your Elementor content isn’t working after the migration. To access this tool, go to Elementor → Tools. Then, click on the Replace URL tab. At this point, your site should be working. However, to make absolutely sure that everything is functioning properly, you can finish things out by forcing Elementor to regenerate its CSS files. You’ll still want to give your site a thorough test, but it should function exactly as it did before the migration process. If you have an especially large site, or if you just want to do things manually for some reason, it’s also not that difficult to manually migrate your WordPress site. For this section, I won’t go as in-depth because I only recommend that you go this route if you’re already comfortable with some of the more technical workings of WordPress. And if you’re changing domains, you should also point your new domain’s nameservers towards the server to which you’re migrating your site. 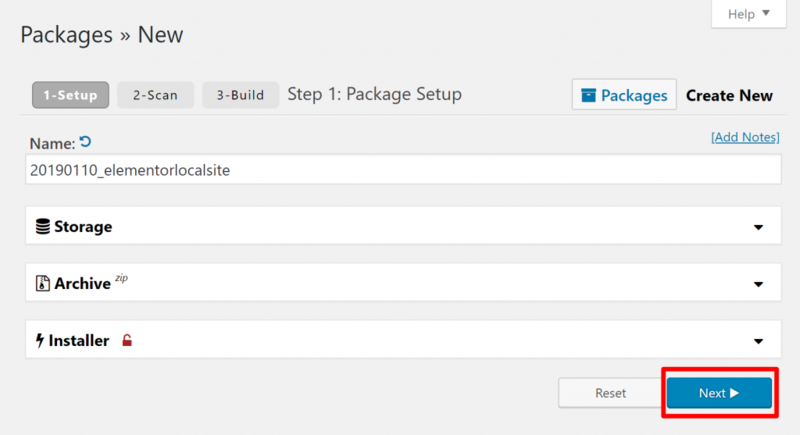 Then, here’s how to migrate WordPress manually. There are several ways to move your existing site’s files to the new server. One way would be downloading all of the files using FTP and then upload them to the server. However, as this process might take hours and hours, the more efficient way would be creating a compressed archive file in cPanel File Manager and then extracting it in the new host. Next, you need to export the database for your existing site. 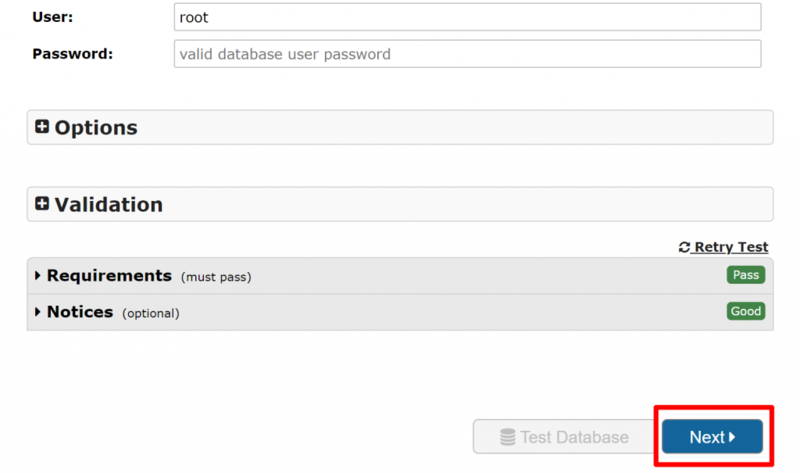 While you can do this manually via phpMyAdmin, a simpler solution is Delicious Brains’ free WP Migrate DB plugin. 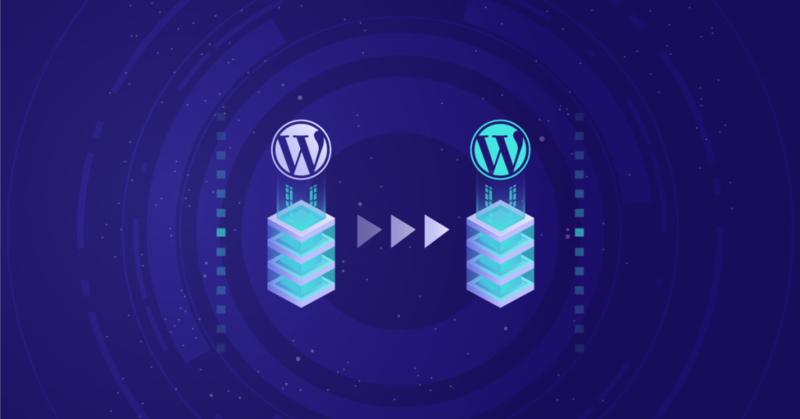 In addition to making it easy to export your database, WP Migrate DB also handles serialized data and lets you run a search and replace on URL/file paths to ensure that all your content functions properly if you’re changing domain names. 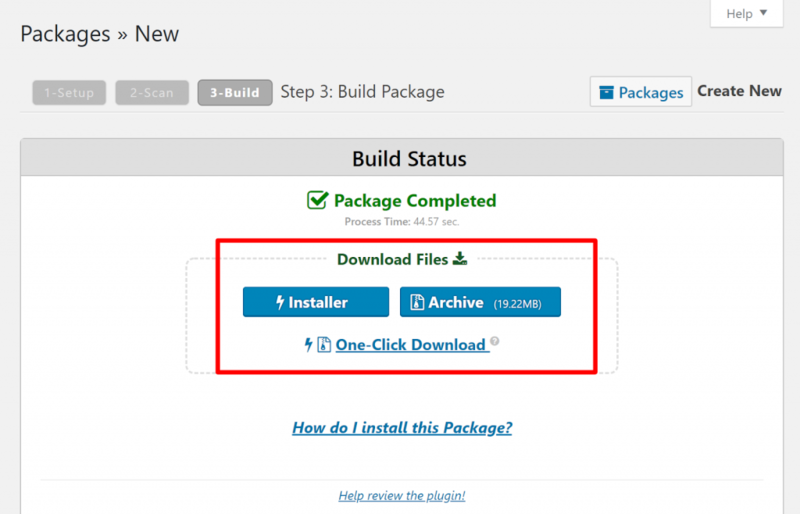 Install and activate the plugin at the site that you want to migrate. Then, go to Tools → Migrate DB. Choose the Export File radio button (it should be selected by default). If you’re changing domain names, you can also use the Find/Replace feature to replace the URLs in your database with your new domain name. 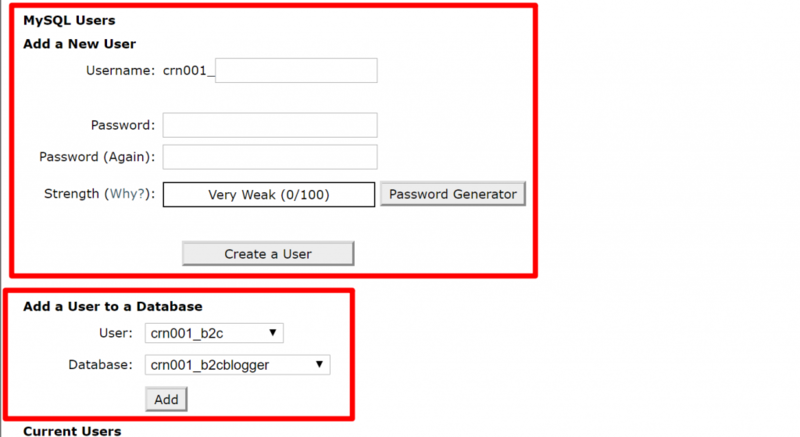 Next, create a new MySQL database at the host to which you’re migrating your site, along with a new database user and password. Keep this information handy because you’ll need it in a second. At this point, both your site’s files and database should be at their new location. 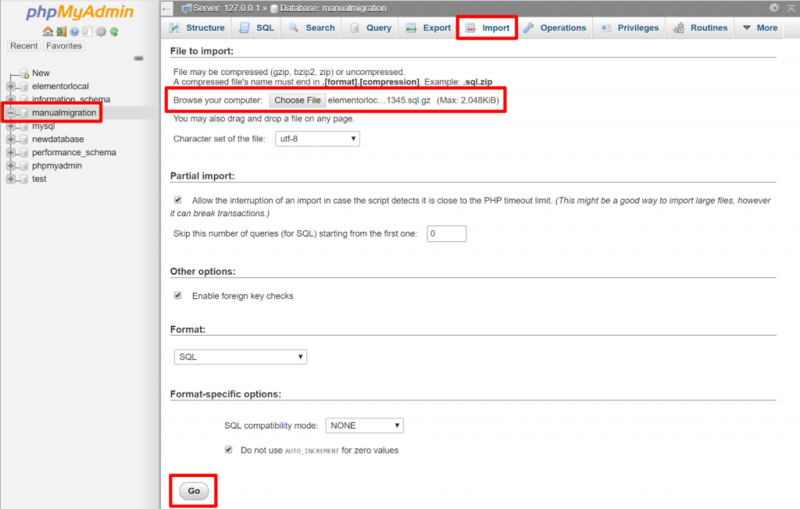 Now, you need to tell your migrated site to use the new database that you created in Step 3. Any Questions on How to Migrate WordPress? 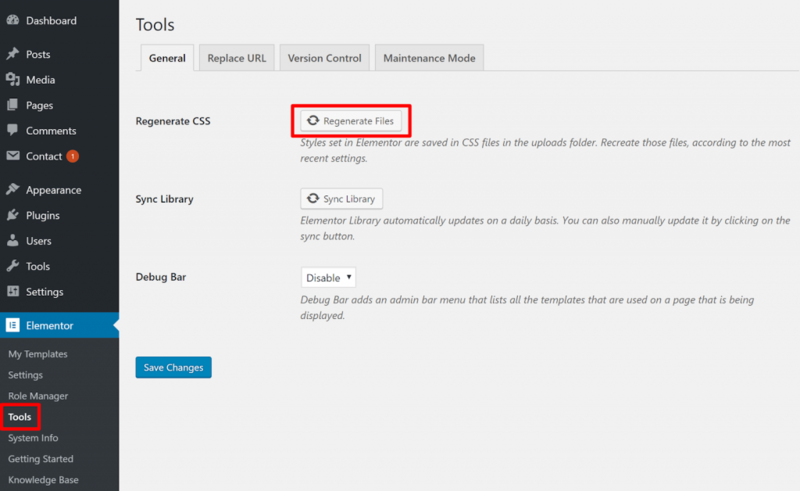 And that wraps up our guide on how to migrate WordPress, including your Elementor content. Do you have any questions on how to safely move sites that you’ve created with WordPress and Elementor to new hosts and/or domain names? Let us know in the comments! Colin is a freelance writer for hire specializing in WordPress and digital marketing. Grow your business with in-depth, conversational blog posts. I also use All-in-One WP Migration (free up to 512 Mb) which is the simplest solution I ever tested to move a WP Website and also poses as a great backup solution. However, this post is brilliant and very nicely detailed. You got right, simplicity wins. And 512 Mb is good enough for most sites. I agree, wp all import handles serialized data without doing any find and replace,however, there is a size limitation in the free version of 500MB,but for small websites this is normally enough. Perfect timing, i was struggling big time recreating some tables on my db. I love elementor, makes my life easier. Although it’s great information. However I feel more comfortable with All In One WP Migration plug-in. It’s as simple as exporting one single file and importing same file back to destination. Don’t forget to mention sometimes you’ll need to update permissions to get them to work on the new server when migrating manually. Some hosts will have a one-click tool to update files and folders, but others won’t and you’ll have to resort to the timely ftp route. I’m using Duplicator and it works like a breeze! Great post, I use updraft and I’m loving it. I will tryout Duplicator in my next project. I was doubting at first, however, worked out great. Thanks guys! Thanks for writing this awesome article. I have been using managed digitalOcean hosting which is powered by Cloudways from sometime. Your article on the site migration will help me in exploring more options. Great job!!! Excelent tutorial… I dont know about this migrate’s plugin. I ever use ALL in ONE WP plugin.